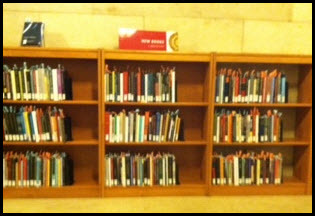 NEW-BOOKS are on put on display for browsing in the lobby of the main floor of Doheny Library across from the reference desk. You can find similar browsing shelves in the other libraries on campus. 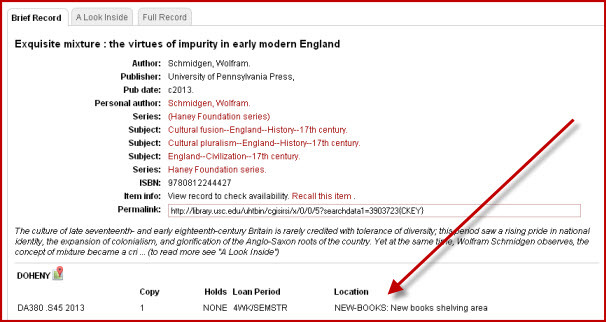 When you are looking at a book in the catalog - you'll see the location for a new book shelf indicated.